I’ve been researching how the federal budget sequester is impacting federal projects and project managers. 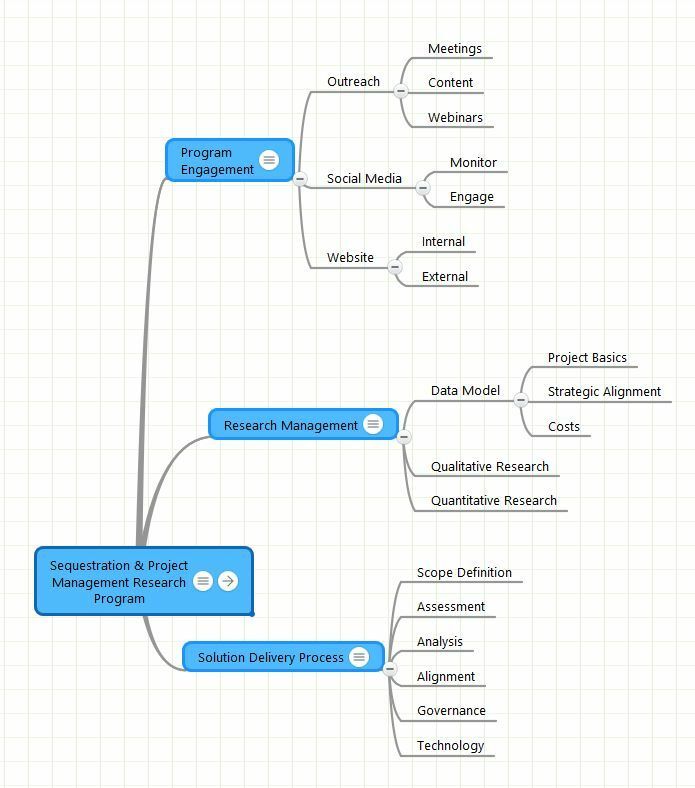 In Mitigation of Sequestration Impacts on Project Management I suggested that not all Federal programs are able to quickly assess and reconfigure ongoing projects in the face of sequestration-related uncertainties, so I’ve given some thought to developing a solution to help such programs. This document outlines a possible approach to helping managers of sequester-impacted programs and their projects adjust to the new realities of budget and schedule uncertainty. Not all project problems are related to the sequester, of course. Some agencies have been experiencing declining budgets and uncertain futures for years as wrangling over Federal budgets has consumed the Congress and the White House. Both large and small projects have been impacted, some by uncertainty, others by the need to stretch out budgets and schedules in the face of reduced resources. It’s a tough environment in which to manage projects successfully. Managers have to do more with less, they have to make resource substitutions, and they have to juggle due dates and overall priorities. I suggested in Mitigation of Sequestration Impacts on Project Management that agencies with more “mature” project and program management practices should be in a better position to “weather the storm.” They should already have the project information they need to make necessary decisions about needed adjustments. Even if it is true that stretched out projects end up costing more — which seems to be the general belief of the people I’ve talked with so far — it’s common to hope that high priority projects can be kept on track even if deliverables need to be delayed or scaled back. Can we afford to do this project given everything else we have to do? To do this project well do we have to “rob Peter to pay Paul”? Whatever your views are of the sequester — ranging from “It’s evidence we are no longer able to govern this country!” to “Let it burn!” — we still have to deal with the reality that Federal programs provide services to the public either directly or via other organizations such as local and state governments. The projects that support these programs presumably were originated based on their support for the goals and objectives of government programs. Deciding what to do with projects impacted by the sequester should take into account the impacts that changes will have on accomplishing project goals and objectives; that’s just a simple example of management logic you don’t need a consultant like me to explain. Linking or aligning sequester-impacted projects to program goals and objectives is something that must be done if it hasn’t been done already. Making this linkage visible, measurable, and quantifiable is even better. The ability to see such linkage across projects, programs, and objectives helps with the project prioritization process, given the scarcity and uncertainty of resources in the current environment. This helps you make the right project investment decisions initially. Then when the going gets tough — as it is now — it should help you adjust to the realities of cutbacks, furloughs, and delays. In addition to understanding strategic connections between ongoing projects, programs, and objectives, managers also need to understand fundamental project basics such as size, schedule, resources, burn rates, and other descriptive data. These are variables that interact with schedule and budget. Unless an infrastructure such as a high performing PMO already exists that provides both a decisionmaking process and the needed data for informed decision-making about restructuring and suggested substitutions, such a process and data have to be created. Unfortunately, we know how lengthy and complex the processes can be for gathering and updating performance data for the government’s formal performance reporting website, Performance.gov. Can we accelerate this process so that reviewing and restructuring government projects in a timely fashion can be accomplished intelligently and calmly based on a foundation of objective descriptive data? Is there an efficient way to help these agencies make intelligent decisions to minimize the negative impacts sequester related cuts and disturbances have on program-supporting projects? Can we do this without adding significant overhead, complexity, or bureaucratic cost? What is the minimum data needed about projects, programs, and goals & objectives that will enable intelligent project and program restructuring? Is there a way we can use modern collaboration and communication technologies to “jumpstart” this process? Given what we already know about project and program management I want to believe that the answer to all these questions is “yes.” Do you agree? Let me know if you would like to talk about this. The idea is to develop a package of templates and customizable processes that a small team can use to quickly gather and organize information about a program’s projects. Based on this information, program managers will then be able to make necessary adjustments to schedule and resources while maintaining support for the program’s goals and objectives. The general outline of this development project is similar to projects where the goal is to prioritize and align a set of projects both tactically and strategically with program goals and objectives. Prioritization is often a feature of such exercises since it’s not unusual for total proposed project budgets to exceed available resources. Approved projects may already be underway yet need to be adjusted to accommodate sequester related cuts. Data on schedules, budgets, and resources may not be immediately available to support rational decisionmaking. Projects may differ widely in terms of the types of changes that can be legally or safely made. Decisions on project changes need to be made quickly and in a defensible and documentable manner. Development of a project data model that addresses project basics, strategic alignment, and project costs. Qualitative research that addresses the realities of how sequestration is affecting day to day project management practices. Quantitative research that addresses objective measurement of key project metrics related to project schedules, budgets, and program impacts. Solution Delivery Process. The purpose of the SOLUTION DELIVERY PROCESS is to create and deliver tools and techniques with appropriate support for use by program managers to (1) rapidly assess sequester-impacted projects and (2) rapidly develop both short and long term solutions that adjust projects while maintaining alignment with and support for program goals and objectives. To discuss project details, funding, and participation, contact Dennis D. McDonald, Ph.D. via email at ddmcd@yahoo.com or by phone at 703-402-7382.